A couple of days ago I mentioned that we went to Animal Kingdom and I shared our favorite things to do there! In my blog post I mentioned that we actually only spent about a half a day at Disney’s Animal Kingdom because I wanted to take advantage of our one-day park hopper pass to try to hit two parks! (Thank you Disney for helping us with these!) So after we spent part of a day at Animal Kingdom, we decided to spend the rest of the day at Disney’s Hollywood Studios! This ended up being another favorite park and perfect for my young children!! 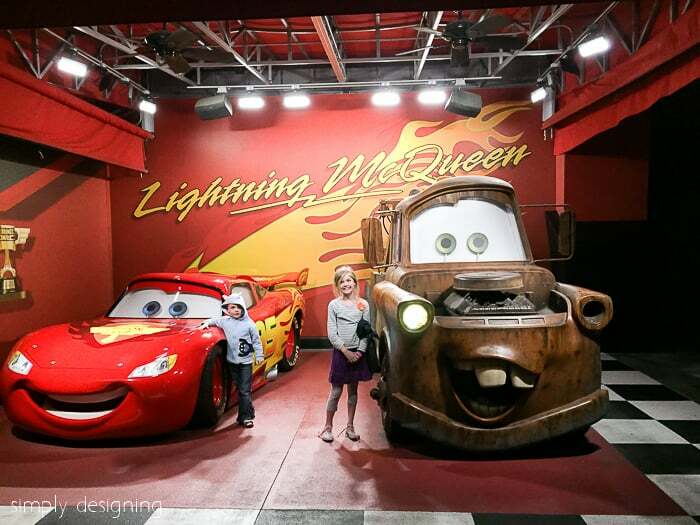 So today I am sharing the best things to do in Hollywood Studios with small children and without a lot of time. As I mentioned we only had a few hours at this park and as such we could not do it all. But I was amazed at what we were able to get through in a few hours! We were at the park during the week but the crowds were fairly light in most of the park so that helped enable us to get through a lot of things quickly. 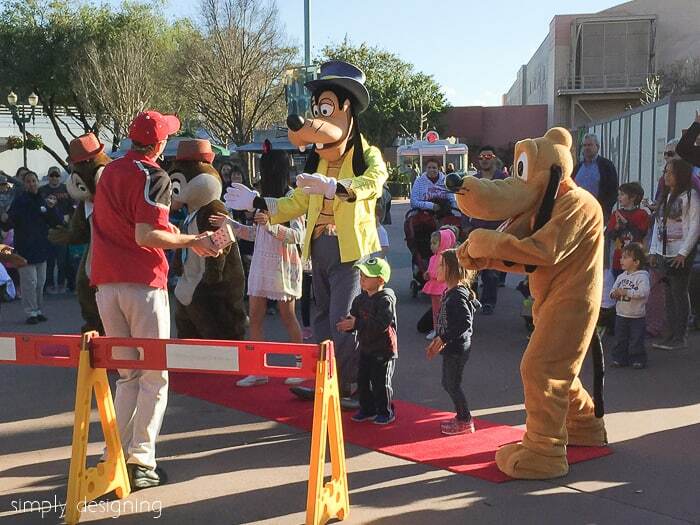 Hollywood Studios is perfect for young children because there are so many Disney Junior characters and shows here! My children really loved the fun characters we met and the shows we were able to see while we were there. But the highlight of the park was definitely the Toy Story ride! Of course it also had the longest line…but I will talk more about that later! Just walking into this park, I could tell it had a much different feel then Disney’s Magic Kingdom or Animal Kingdom. I fell in love with the fun architecture and amazing buildings! Just walking through the streets I was so impressed and in love already! The art deco inspired buildings really spoke to me! I don’t know why but I just love that style! So fun! Everywhere we went we saw characters either waiting for photos or dancing in the streets. It was a really fun experience for young children! 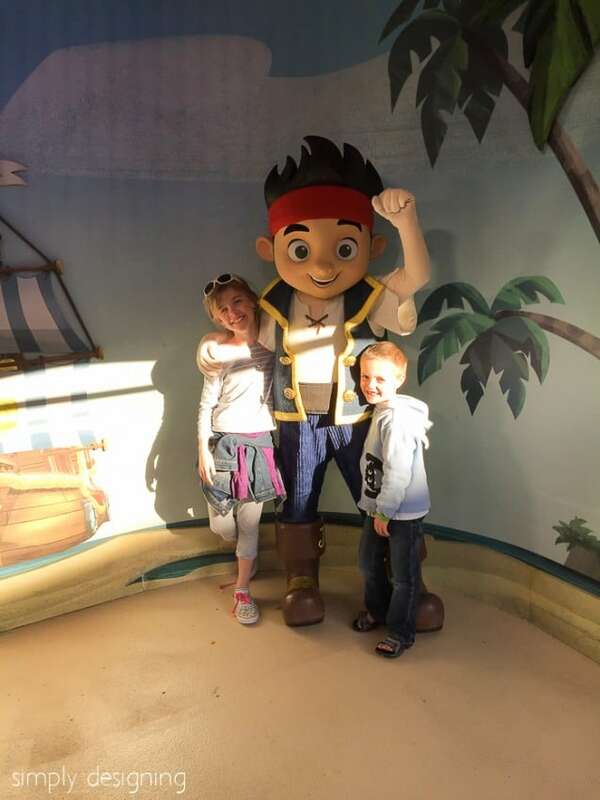 And whenever we saw a character with a short line that my children wanted to meet, we just stopped what we were doing, grabbed our autograph books and stood in line. 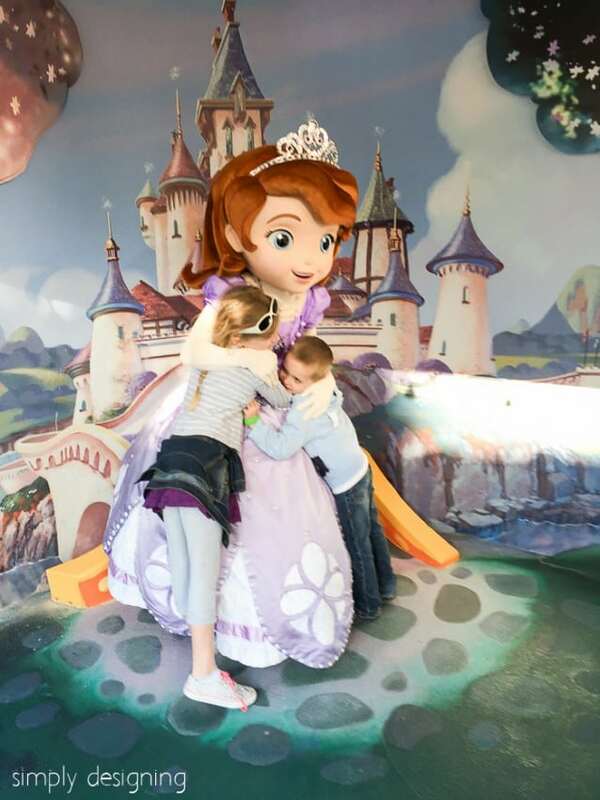 My children loved meeting Sofia the First. And my son could not have been more thrilled to meet Jake! He was very silly with the children! 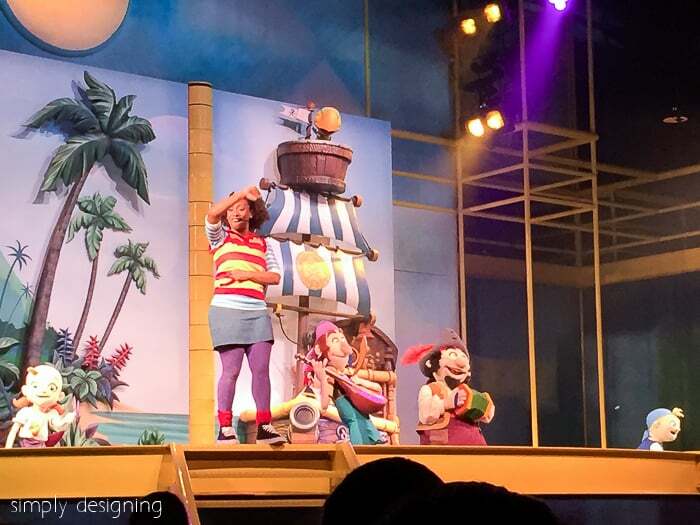 We took the time to see the Disney Junior Live on Stage show. We knew we couldn’t see many shows, but this one was so cute and a bit hit for my kids! They loved it! While we were in animation Courtyard we also hit the Magic of Disney Animation and walked through the Animation Gallery which was so neat! While we were close we walked through the Walt Disney: One Man’s Dream gallery. This was such a neat exhibit, we all enjoyed seeing the neat models and fun pictures! You really need to allow enough time for the Toy Story Midway Mania ride! This was such a fun ride we all loved it so much!! It is a 4-D shooting ride and my children and I thought it was a lot of fun. The only downside is the wait. I had heard the wait for this ride was long and it was. We waited close to an hour and a half, but we knew we didn’t want to miss it and I am so glad that we were able to ride it! It was the highlight of the park for my kiddos! We saw the Muppet Vision 3D experience and my kids got a huge chuckle out of this! It was really cute and perfect for kids! We also ran across these two characters from Cars! My kids where thrilled! We hit Star Tours here and really enjoyed this 3-D experience. My children have never seen Star Wars but they still some how are familiar enough with the characters that they really enjoyed this ride! And even if your children don’t know this at all, it is still a fun ride and definitely a must-do! There are quite a few things we did not have the time to do at Hollywood Studios that day because we choose to only spend part of a day here. However the kids and I loved it and definitely got a good feel for the park and all the fun things to do here! It would be fun to go back and see the other shows at some point, but we definitely feel like we hit all the highlights in our short time here! And most importantly, my children and I LOVED it and had a wonderful day! Here are a few of my other basic tips for getting the most out of your experience at any park! Skip the crowds before you even get into the park and snag those tickets ahead of time! This one tip can save you an hour of time in line or more depending on the time of year. We had actually spent the weekend prior in Disney World so I called Disney and was able to purchase my extra tickets ahead of time and they put them onto our wrist bands. So when we got to the park, we were able scan our bands and walk right through! 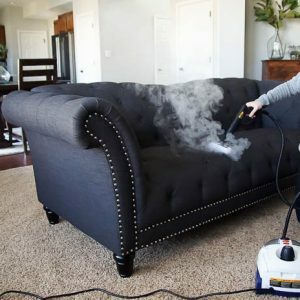 This saved us tons of time and was incredibly convenient! We also did not arrive here first thing in the morning so there would not have been a long line to buy a ticket when we arrived anyway, but it was still nice being able to walk right in. One of the biggest mistakes that people make is to not take the time to plan their day. Take a few minutes the evening before you go to actually plan out a rough itinerary for the day. Or at least know the main attractions you want to hit at the park and go from there! This will make your day run smoother and ensure you hit all the rides and shows you really want to hit! Also, get your family involved in the planning, or at least prepare then that there will be a plan to follow! When you walk into a park, it is easy to become overwhelmed and want to do everything right now, in the order you see it. But this isn’t always the best way to do it. I talked to my kids before hand about how I had a plan to hit the best, most fun things at this park and my kids were instantly on board. 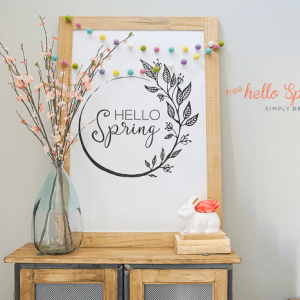 Because my kids knew I had a plan, they were great at following along because they knew they would have lots of time to do lots of fun things this way! And because this was not our first park we visited this week, we were into a really good routine! Show up when the park opens, or a few minutes before. Crowds are always lightest in the first few morning hours at Disney parks so take advantage of that time to get through rides and experiences quickly! But once again, this park was fairly light mid-week during the late afternoon earl evening hours too, so we were lucky! 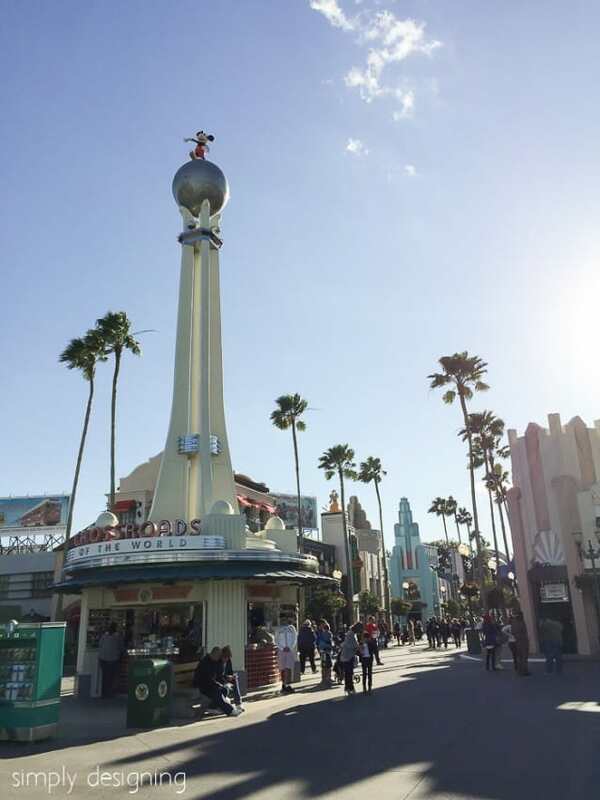 Most rides and shows at Hollywood Studios do not have a height restriction, but a few do. So check those ahead of time. Sometimes at Disney Parks there are age restrictions to riding alone. But my 8 year old was old enough to ride alone which helped since it was just myself with the two kids that day. Also we found a few things to be just a tad scary for younger children, so just be careful if your children scare easily. At parks like this there is often a lot of hurry up and wait. My children became used to walking fast to get someplace and then wait in line for the ride. So talk to your children ahead of time to let them know you will be walking a lot, and waiting a lot. Orlando can be hot during the day and cold once the sun sets. So besides wearing comfortable shoes, bring a sweatshirt or jacket. Sometimes rides or shows become a bit scary for younger children, and you might not always know ahead of time. 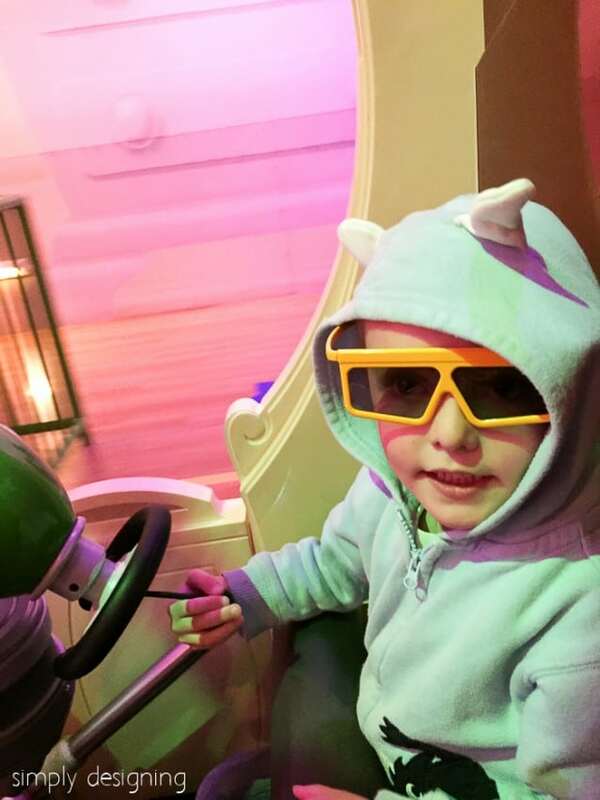 My son and daughter are a little worried about most 3-D and dark rides. So I always prepared them. Before ANY ride I tell them, if it gets scary, just close your eyes. And if it is a 3-D experience, I told them that if it got scary to take their glasses off. This takes ALL the scary out of 3-D when your glasses aren’t on. Preparing your children with a plan for if it gets scary empowers them! My children were excited to go on any ride and weren’t worried about whether or not it was scary because they knew how to handle it and they knew ways to take the scary out of any ride. So EMPOWER your children by preparing them! But honestly, they did not get scared on ANY of the rides or experiences at Hollywood Studios. Parking was easy here! We parked and rode a tram right to the entrance of the park! What a wonderful way to start the day! Just remember what area you parked in so that you can remember what stop to get off at! I like to snap a photo of the sign so that I don’t forget! Just remember when taking a trip like this that you are there to have fun! If your kids aren’t up for such a big day, that’s ok. It is more important to create good memories then hitting every single thing. This post is just to show what we did and what worked for us, but please take the time to modify the plan to fit your own family! And be flexible enough to realize you may have to adjust as you go especially with young kiddos. We did everything on our must-do list (plus more) in just under half a day. Remember, we spend the first portion of our day at Animal Kingdom! You can read all about our adventures at Animal Kingdom HERE. 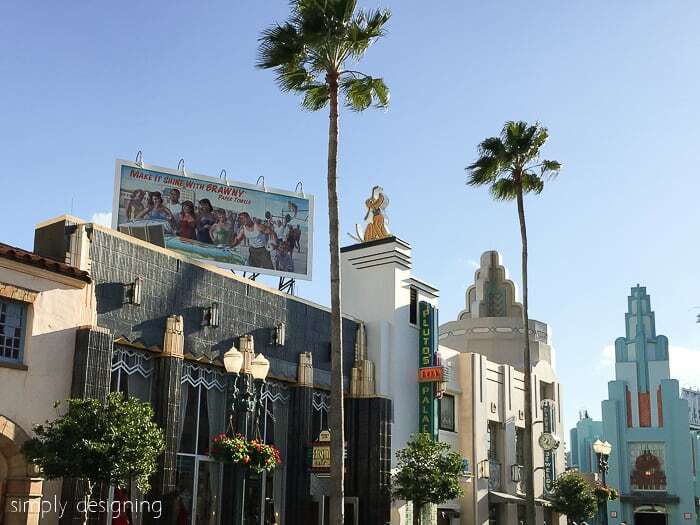 And be sure to check out Disney’s Hollywood Studios website to help plan your trip, check out park hours and see more information about rides and restrictions HERE. Thank you for this post. We are Disney Fanatics but we live my Disneyland. Hubby and I spent our honeymoon (10 years ago) at Disneyworld and LOVED this park, but we have yet to go with kids. Its on our to do list… get over to Disney World. I am totally saving this post for then. I found it on a link party, got to love those! 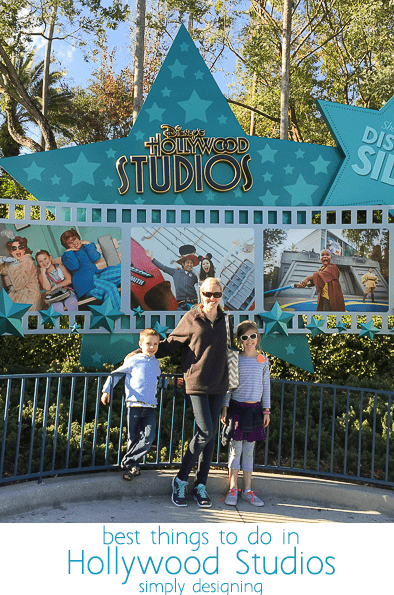 I love that this post was not only about sharing your family’s experience with Hollywood Studios (Can’t wait to take my family someday) but it shared really great practical tips as well as to how best to maximized the experience and minimize the stress. Really appreciate this post. Visiting from Turn it Up Tuesdays!. Blessings.